Asking me to choose a favorite book is like asking me to choose with arm or leg I’d rather lop off, or if I’d rather give up macaroni and cheese or Nutella for the rest of my life. You simply can’t make these decisions, it’s just cruel! So, I will cheat. I will cheat and choose a series, because I cannot choose just one. Drumroll, folks? Harry Potter. Yep, I am a diehard Harry Potter fan and I absolutely choose it as my favorite book(s). Do I care how “mainstream” this is? Hell no. 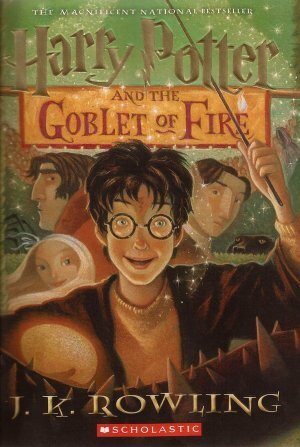 I read the second Harry Potter book when it was released and lived my childhood years waiting for the next to release. My childhood was over when the last book was released, and I cried like a baby during the last chapter of the book, simply because it was over. Can words do justice the number of times I’ve dressed up as a Harry Potter character for a book or premiere, the number of hours of sleep I’ve lost from staying up late reading HP, how many wishes I made on stars and candles that I would receive my letter on my birthday? I’ve eaten a vomit-flavored Bertie Botts jelly bean, flung around a replica of Harry’s wand, listened to Jim Dale’s voice for hours, and wished with every fiber of my being that J.K. Rowling is indeed a squib, who is actually truly detailing the life of Harry Potter to spite those who made fun of her and kicked her out. Harry Potter was my childhood, and will always be my favorite. I guess if I absolutely HAD to choose, it would either be Firefly Lane or The Things We Do For Love, both by Kristin Hannah. Each of these stand out in my mind and are books that I think about often and remember well. Firefly Lane will always hold that special spot in my heart, the first adult book my best friend and I bonded over, the book that feels like it’s been ripped from our lives and the book that I will never, ever get tired of reading. The Things We Do For Love sticks in my mind because it feels… so comforting and so hopeful. It reminds me that no matter what you go through, the things that are meant to be, will be. That things fall into place when you’re least expecting them but need them most. I love them both for different but similar reasons, and it’s impossible for me to choose between them. 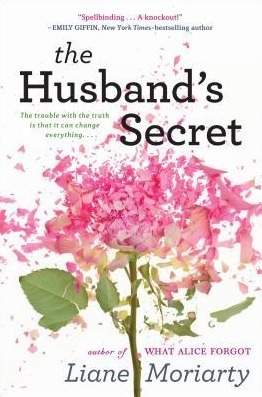 The Husband’s Secret by Liane Moriarty. 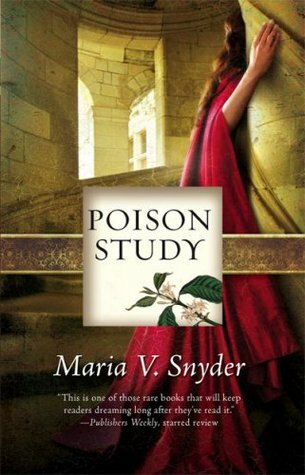 I LOVED this book, and part of my loving it was because the ending totally shocked me. I’m sure that some people saw it coming, but I definitely did not! Moriarty did such a good job of showing the mystery and steering you in a certain direction, then she blows your mind with the truth. Super impressive! I combed through my Goodreads read shelf for thirty minutes before coming to a single realization: nothing stands out as surprising. Not a single book jumped out and screamed “I was surprising, remember? !” and not a single book came to mind with an “Aha!”. 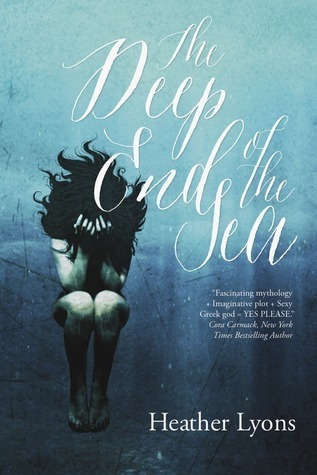 I suppose The Deep End of the Sea had some surprising bits, but they were all pretty forced when the twist came. I guess I better add “read a book with a surprising plot twist” to my list! 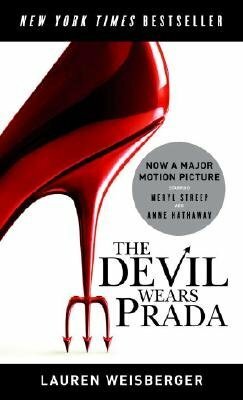 I can absolutely identify with Andrea Sachs from the Devil Wears Prada. She’s a small-town, naive girl who starts her career at a top-notch fashion magazine, where’s she’s completely out of her league. Though I cannot identify with having a psychotic boss, extremely shallow co-workers, or living in New York City, I really identify with her fashion sense (or lack thereof) and having a hectic work life. Okay, so perhaps we don’t have that much in common. But after reading the book twice, I really feel like I’m similar to Andrea. Perhaps it’s her ability to adapt to a changing work and social environment, her love of literature, or her people pleasing ways. Maybe it’s the extremely supportive significant other or the work ethic. 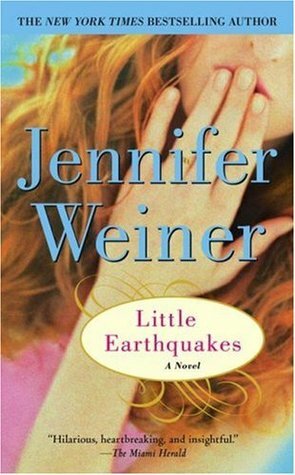 Either way, I love this book, and I’m definitely an Andrea Sachs at heart. This is a very, very hard question for me to answer. I’ve been pouring over my Goodreads lists looking for something to jump out at me, to speak to me and tell me the answer but that hasn’t happened. There are so many characters from different books that I love that I relate to certain parts of them, or the way they react to certain things, but I cannot honestly say that there is one character that I relate to more than anyone. There are girls like Yelena and Luna Lovegood and Katniss that I can see part of myself in, but everyone can. That’s why they’re written the way they are. I feel like the characters that I see myself in more than others, like Angela from The Things We Do For Love, are more characters that I’m afraid of becoming or afraid of being in their positions than actually relating to them. So, I don’t have an answer for this one – but I’ll obviously keep reading, and hopefully will one day find that character that speaks to me more than any others. 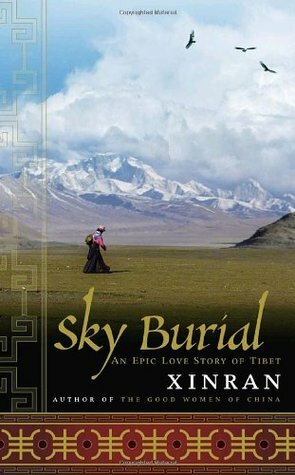 I have no idea where I found this book, or what even made me want to read it as it’s not what I’m usually drawn to, but Sky Burial: An Epic Love Story of Tibet by Xinran is an absolutely breathtaking book. 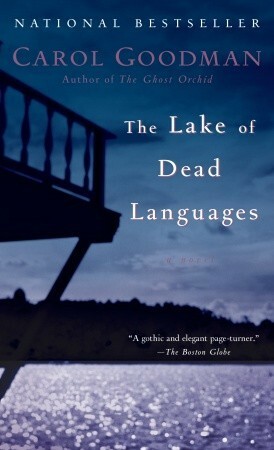 It’s written beautifully, about a woman whose husband goes missing very shortly after they get married. She goes on a very long journey through Tibet trying to locate him, and everything that she learns and goes through during that time is very moving and eye-opening. Definitely recommend it to everyone I know! When I was in high school, I was on a Teen Choice panel for our city library. Our job was to read a bunch of books and vote on our favorite to win the Teen’s Choice for the year. It was an intense job, but boy, did I find the book. I fought tooth and nail for it to be the choice, and it ultimately won (you haven’t seen a heated discussion until you get a bunch of nerdy, teenage bookies in the same room, fighting for their favorite book of the year). 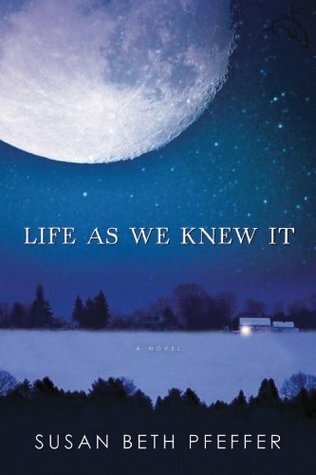 Life As We Knew It by Susan Beth Pfeffer was not the winner that year, but it won for me. A meteor knocks the moon closer to the Earth, which throws everything in complete and utter chaos. Earthquakes, tsunamis, volcanoes—the entire population is devastated, and people are fighting to survive. Summer turns to a freezing winter, and Miranda and her family are forced to survive on stockpiled canned goods, a small amount of water, and the wood in their stove. It’s a heartwrenching, terrifying read that reminded my teenage self that we can’t take everything for granted. 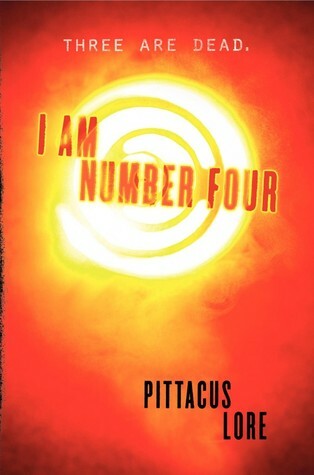 I Am Number Four has been on my ‘to-read’ shelf for an embarassingly long time—since before the movie came out, even. But then I broke down and watched the movie, and felt as if the ending was ruined, so I haven’t bothered. It’s been a while since I’ve seen the movie, though, and after reading the Goodreads summary (again), I think I’ll definitely pursue it in the next few months. 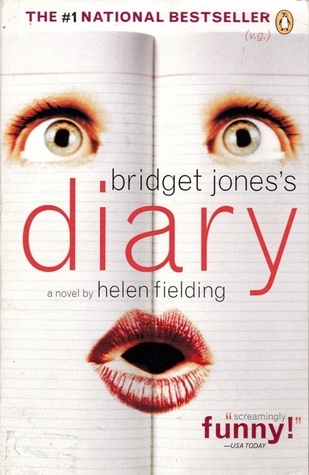 I still have yet to read Bridget Jones’s Diary, even though it has been out forever and get high praises from one of my besties. It’s been on my to-read list forever, but I’m going to use the lame excuse of not knowing about Goodreads until earlier this year – how could I organize the books I wanted to read and actually make sure they got read before?! Obviously some, probably too many, fell through the cracks. I will hopefully read it soon, but you never know what might come up between now and then! 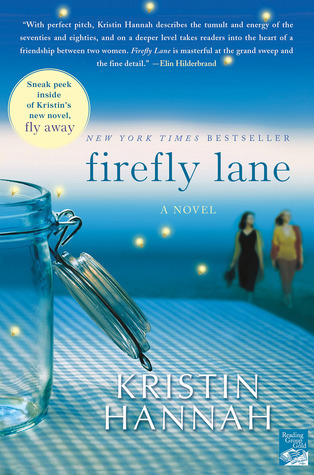 I have never cried like I cried reading Firefly Lane (ironic that I used this as the book that makes me happy too…). This is definitely one of my favorite books, and introduced me to Kristin Hannah who is now one of my favorite authors. I read this a few years ago and cried then, but when my best friend’s mom was diagnosed with ovarian cancer and I (mistakenly) decided to read it again, I cried harder than ever before. The last parts of the book hit so close to home it was almost unbearable, it was like the future playing out before me in written form. I will continue to read it again and again because I love it so very, very much but it will forever remind me of those months and how life can take turns for the worst. It shows that you can get through anything if you have your best friend beside you. 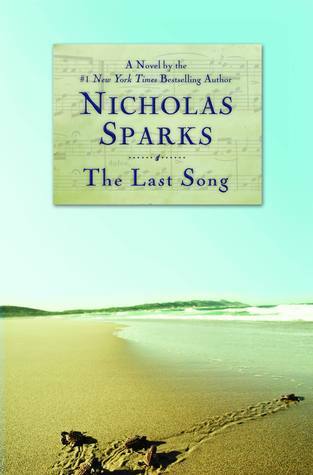 Big shocker: it’s a Nicholas Sparks book! But seriously though, the Last Song had me bawling like a baby. Ronnie’s parents get a divorce and she’s forced to stay in North Carolina (what?! A Nicholas Sparks books set in one of the Carolinas?) with her dad for the summer. She finds love, learns to love her dad, etc. The ending is incredibly emotional and depressing, hence the tears. I was apprehensive to read this book at first, primarily because Miley Cyrus/Hannah Montana would be playing Ronnie in the movie. Once you get the casting in your head, you picture the characters as those people. I quickly forgot that, and devoured the book in a weekend. I’m not usually a crier with books, but I definitely had tears trailing down my face with this one.